Speakers - Mobilities and Design Workshop, Lancaster Centre for Mobilities Research, Lancaster University UK. Thomas Binder is an associate professor at The Danish Design School. His research is about understanding how design processes generate new knowledge, and how an emphasis on knowledge building and learning can connect the designer’s classic design skills with more open design processes based on dialogue with users, for example in the fields of service design, strategic development and change processes. Nick Dunn is Professor of Urban Design at ImaginationLancaster and Associate Director of Research of the Lancaster Institute for the Contemporary Arts at Lancaster University. He is formerly of the Manchester School of Architecture where he was Principal Lecturer, Director of Studies and Co-director of the [Re_Map] atelier, whose research is concerned with the mapping and representation of urban networks, data and conditions. His work responds to the contemporary city as a series of systems, flows and processes, and is explored through experimentation and discourse addressing the nature of urban space: its perception, demarcation and appropriation. My research brings together social studies of science and technology, cultural studies, and design to explore relations between humans and nonhumans. I am particularly interested in creative research methods for understanding - and supporting public engagement with - issues and controversies related to science, technology and animals. My current research, supported by the Royal Society of New Zealand Marsden Fund, combines ethnography and speculative design to create possible future scenarios for the use of wireless technologies in the production and consumption of NZ merino. 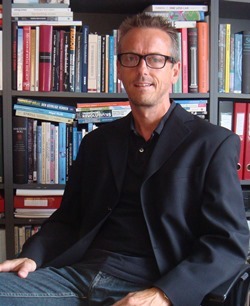 Ole is professor of Urban Theory in the Department of Architecture and Media Technology at Aalborg University, Denmark. 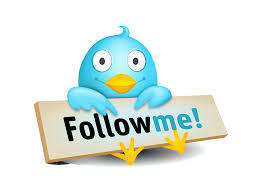 His background is in sociology and associated to the Urban Design research group. My research interests are within the fields of mobilities research, urban studies, urban design, infrastructure architectures and city branding/cultural planning. 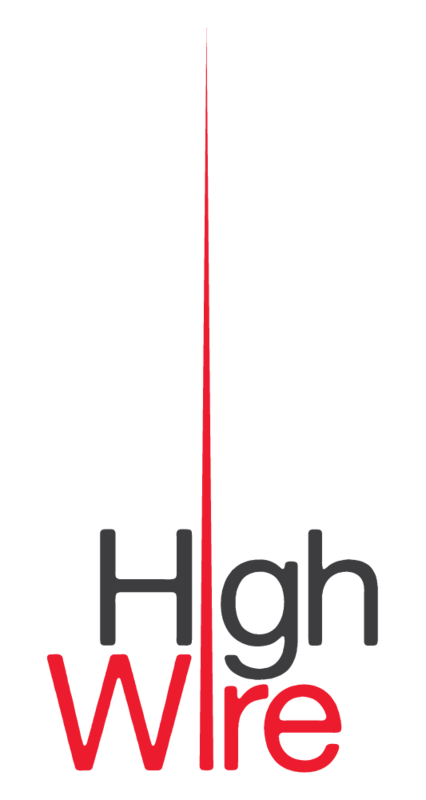 Ole is a board member of the Center for Mobility and Urban Studies (C-MUS) at Aalborg University, and on the Cosmobilities Network Taskforce (http://www.cosmobilities.net/network.php). He is affiliated to the Pan-American Mobilites Network, and have strong links to the Centre for Mobilities Research (CeMore), Lancaster University, UK and he Center for Mobilities Research and Policy (mCenter), Drexel University, Philadelphia, USA. 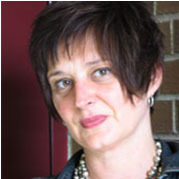 Professor Kim Sawchuk is the editor of the Canadian Journal of Communication and co-editor of wi: journal of mobile media. A feminist media studies scholar, her research and writing has long addressed the relationship between embodiment, discourses and experiences of technology. Her current work on this subject traverses two major areas: wireless, mobile communications and biomedical imaging. She has been a Visiting Fellow at the Institute for Advanced Studies, University of Bologna. She was also an invited lecturer at the University of Silesia, Poland and the University of Lancaster and the University of Manchester, England. 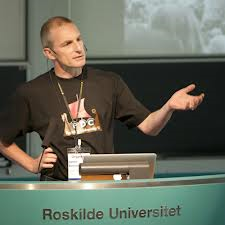 Jesper is Professor of Participatory Design in the Department of Communication, Business, and Information Technologies, Roskilde University, Denmark. He is also Director at the University Strategic Research Initiative Designing Human Technologies. Since 1991 he has conducted Participatory Design research in collaboration with industry - focussed on how information technology designers can cooperate with users and their management especially when relating to the clarification of goals, formulation of needs, and design and evaluation of coherent visions for change. John Urry has worked at Lancaster since completing degrees in Cambridge. He is a former Head of the Sociology Department, Dean of the Faculty of Social Sciences, and University Dean of Research. Since 2003 he has been Director of the Centre for Mobilities Research, now one of four Lancaster University Research Centres. In this role he helped to develop the ‘new mobilities paradigm' for social science research. Other research interests are in the social science implications of climate change and ‘peak oil', energy and society and complexity theory in social science.